Ratoath Athletic Club: Fit4Life: couch 2 5K registration tonight 8-9pm Gaa club house. 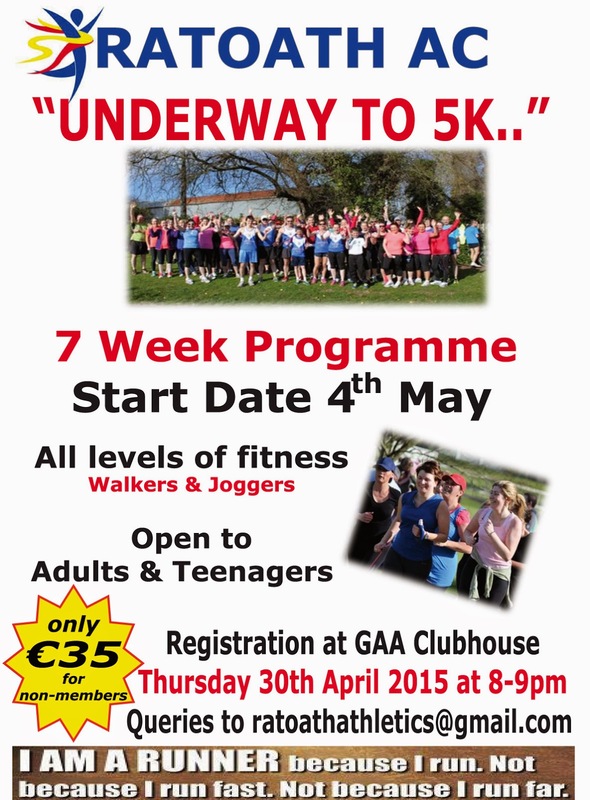 Fit4Life: couch 2 5K registration tonight 8-9pm Gaa club house. Suitable for: Adults & Older teenage children of all levels of exercise ability including walkers, joggers and beginner/intermediate/advanced runners. Most Important - Have fun… it will make the whole experience more pleasant, Get out of the house, meet new people, make new friends or bring old friends too.